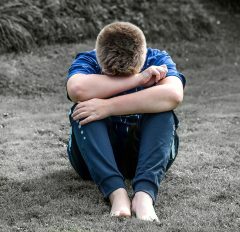 Home » Why Are Young People Lonely? This has become one of the repeated themes in the recent discussion on loneliness. 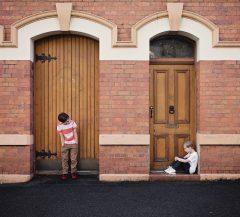 Journalists write articles saying “the more connected we become, the lonelier we are” and “Youngsters can have hundreds of “friends” but little companionship.” This may be true for some people. But it doesn’t mean that social media or technology is to blame for their loneliness. The fact is, without the Internet, many people would be even lonelier. At WaveLength, we see this every day. 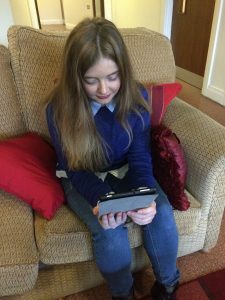 The people we help are extremely lonely, but it is not because of technology. They are isolated by poor health, poverty, domestic abuse, disability, homelessness, and cancer. For these people, digital technology and social media are lifelines. This is because they connect them to their friends, family, communities, and support networks. The same is true for everyone. Social media, the Internet, and mobile phones allow us to stay in touch with those we love, wherever they are. They allow us to meet new people, bond with strangers over shared interests, and build new communities online and in real life. Of course, comparing ourselves to other people’s curated Instagram lives will not make us happy. But comparing ourselves to others never will, regardless of the medium we use. So why are young people lonely? Financial insecurity, university debt, unaffordable housing, unemployment, political instability, and increased pressure at school all affect young people’s mental health. Worries about these things can make young people feel stressed, anxious, and isolated. Blaming technology for all the problems faced by young people is a huge over-simplification. And it risks undermining the many benefits that technology can offer. Technology and social media are neither cures nor causes for loneliness. They are tools. They can connect people, or they can divide us. It is up to us how we use them.